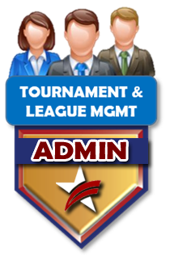 Allows you to manage and run your league and tournament easily! 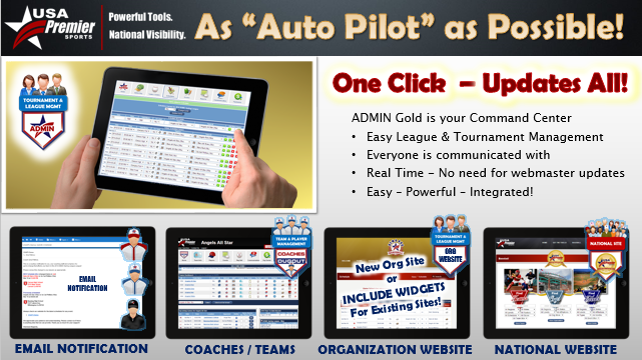 ADMIN Gold is a back office engine that easily setup your event, process your teams / schedules and then communicates emails and shares information instantly to websites without a webmaster! 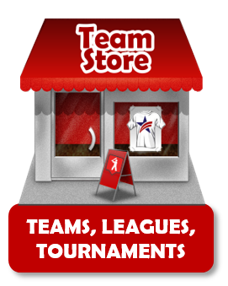 Coaches or Admin submit scores and standings are automatically updated. Powerful communication center linked to data so you can send email to specific group of people, e.g., overdue payments, out standing rosters and scores, etc. This system truly is as “AUTO PILOT” as you can get! AABC HIGHLY RECOMMENDS all leagues and tournament to use this system – not only will it make your life easier, but it will also showcase your AABC events on the Official National Site. Create Events and Registration – listed on the National Site! POWERFUL!!! 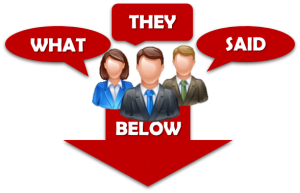 Communications linked to the data, e.g., send email to all event coaches or just those coaches with overdue payments….